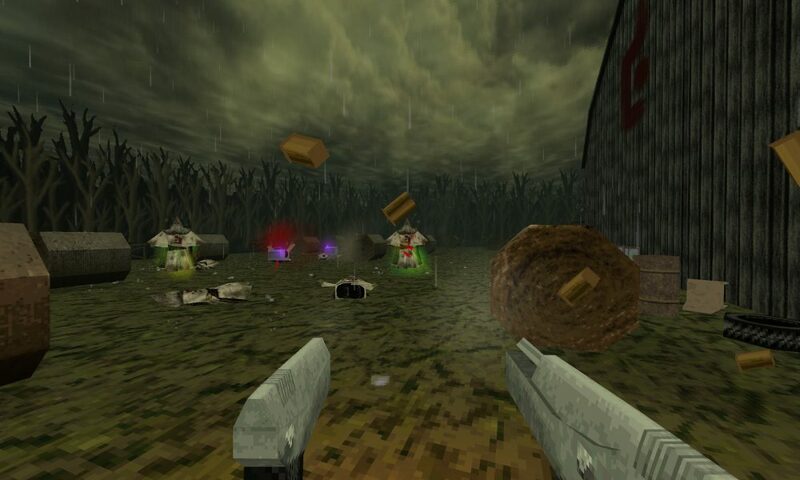 If you are pining for good old 90s FPS game design but don’t think games such as DOOM and Quake Champions are 90s enough, maybe you should try DUSK. It just entered Steam Early Access and might be right up your alley. DUSK is an indie game developed by David Szymanski and New Blood Interactive that is a retro nod to 90s FPS games in terms of gameplay and aesthetic. The game forces players to stay on the move to survive, not unlike several recent run-and-gun FPS games such as DOOM and Shadow Warrior 2. 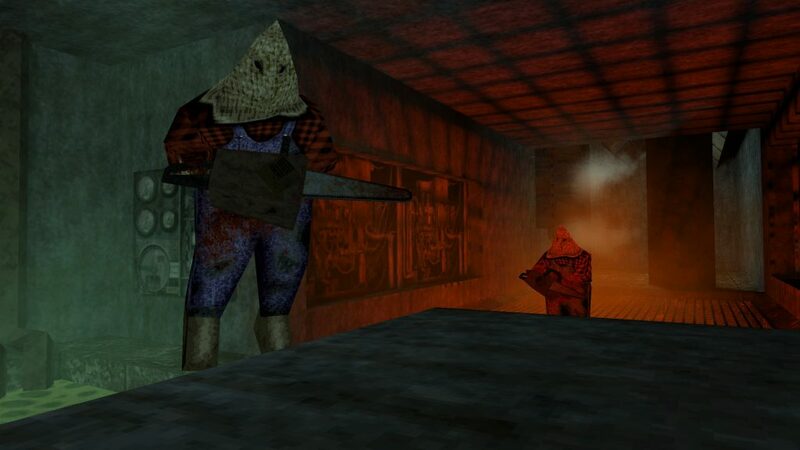 However, while those games are more of a mix of retro and modern FPS game design, DUSK is full on 90s, from the complete lack of cutscenes to the ability to increase your movement speed by constantly jumping, aka. strafe-jumping/bunny hopping. And, of course, what 90s FPS game would be complete without an uber-powerful weapon hidden in the first level? That’s correct; players who explore every nook and cranny of DUSK‘s first level will be rewarded with a powerful rocket launcher-esque weapon. 90s FPS game design at its finest. While DUSK manages to flawlessly recreate old-school FPS game mechanics, it shines in the art department. The game intentionally looks dated to help solidify the 90s game aesthetic; environments and models are blocky with low resolution textures that would be at home in the first Quake game. Plus, the game’s enemies are primarily evil soldiers, demon cattle, and what can be best described as intentionally stereotypical/caricaturist redneck cultists wearing KKK hood-shaped potato sacks. It’s the kind of overblown designs you would see in 90s games, which maintains the 90s FPS aesthetic. Since DUSK is intentionally old-school in graphical fidelity, you can essentially run the game on a toaster. All you need is a 2.4 GHZ dual core CPU, 2 GB RAM, and a GeForce 9800GT graphics card. It does my heart good to see a recently released PC game that doesn’t require you buy a new graphics card. DUSK is still in development and currently split into two episodes, each of which contains several levels. The game will officially release once Episode 3 and the multiplayer modes (competitive and co-op) are complete. I cannot recommend this game enough, especially if you’re like me and grew up with 90s FPS games.